Free silver was a major economic policy issue in late-19th-century America. Its advocates were in favor of an expansionary monetary policy featuring the unlimited coinage of silver into money on demand, as opposed to strict adherence to the more carefully fixed money supply implicit in the gold standard. 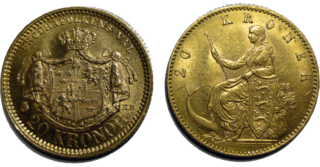 Supporters of an important place for silver in a bimetallic money system making use of both silver and gold, called "Silverites", sought coinage of silver dollars at a fixed weight ratio of 16-to-1 against dollar coins made of gold. Because the actual price ratio of the two metals was substantially higher in favor of gold at the time, most economists warned that the less valuable silver coinage would drive the more valuable gold out of circulation. In economics, deflation is a decrease in the general price level of goods and services. Deflation occurs when the inflation rate falls below 0%. Inflation reduces the value of currency over time, but deflation increases it. This allows more goods and services to be bought than before with the same amount of currency. Deflation is distinct from disinflation, a slow-down in the inflation rate, i.e. when inflation declines to a lower rate but is still positive. The "free silver" debate pitted the pro-gold financial establishment of the Northeast, along with railroads, factories, and businessmen, who were creditors deriving benefit from deflation and repayment of loans with valuable gold dollars, against farmers who would benefit from higher prices for their crops and an easing of credit burdens. Free silver was especially popular among farmers in the Wheat Belt (the western Midwest) and the Cotton Belt (the Deep South), as well as silver miners in the West. It had little support among farmers in the Northeast and the Corn Belt (the eastern Midwest). The Cotton Belt is a region of the Southern United States where cotton was the predominant cash crop from the late 18th century into the 20th century. The Corn Belt is a region of the Midwestern United States that, since the 1850s, has dominated corn production in the United States. More generally, the concept of the "Corn Belt" connotes the area of the Midwest dominated by farming and agriculture. The debate over silver lasted from the passage of the Fourth Coinage Act in 1873, which demonetized silver and was called the "Crime of '73" by opponents, until 1913, when the Federal Reserve Act completely overhauled the U.S. monetary system. As a result, the monetary value of silver coins was based on government fiat rather than on the commodity value of their contents, and this became especially true following the huge silver strikes in the West, which further depressed the silver price. From that time until the early 1960s the silver content in United States dimes, quarters, half dollars and silver dollars was worth only a fraction of their face values. Free coinage of silver would have amounted to an increase in the money supply, with inflation as the result. Many populist organizations favored an inflationary monetary policy on the grounds that it would enable debtors (often farmers who had mortgages on their land) to pay their debts off with cheaper, more readily available dollars; those who would suffer under this policy were the creditors such as banks and landlords. 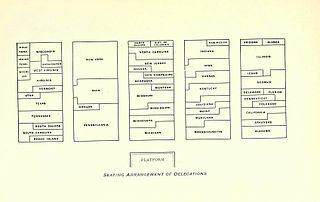 The most vocal and best organized supporters were the silver mine owners (such as William Randolph Hearst) and workers, and the western states and territories generally, as most U.S. silver production was based there and the region had a great number of highly indebted farmers and ranchers. Outside the mining states of the West, the Republican Party steadfastly opposed free silver, arguing that the best road to national prosperity was "sound money", or gold, which was central to international trade. They argued that inflation meant guaranteed higher prices for everyone, and real gains chiefly for the silver interests. In 1896 Senator Henry M. Teller of Colorado led many western Republicans to bolt and form a third party that supported William Jennings Bryan, the short-lived Silver Republican Party. 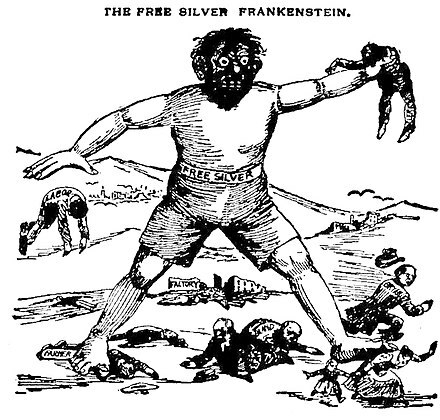 The Sherman Silver Purchase Act of 1890, while falling short of free silver's goals, required the U.S. government to buy millions of ounces of silver (driving up the price of the metal and pleasing silver miners) for money (pleasing farmers and many others). However, the U.S. government paid for that silver bullion in gold notes—and actually reduced their coinage of silver. The result was a "run" on the Treasury's gold reserves which was one of the many reasons for the Panic of 1893 and the onset of the 1890s Depression. 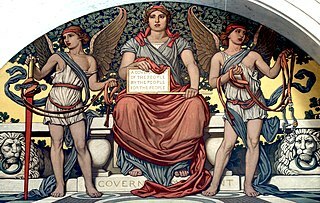 Once he regained power, and after the Panic of 1893 had begun, Grover Cleveland engineered the repeal of the Act, setting the stage for the key issue of the next presidential election. The Populist Party had a strong free-silver element. Its subsequent combination with the Democratic Party moved the latter from the support of the gold standard which had been the hallmark of the Cleveland administration to the free-silver position epitomized by 1896 presidential nominee William Jennings Bryan in his Cross of Gold speech. Bryan's 1896 candidacy was supported by Populists and "silver Republicans" as well as by most Democrats. Three fraternal organizations rose to prominence during the mid-1890s and supported the silver campaign in 1896. They all disappeared after the failure of the campaign. 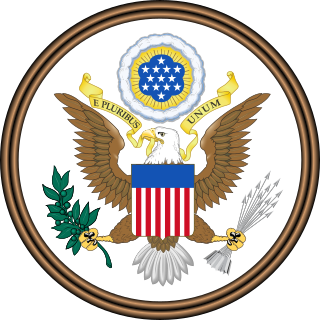 The Bland–Allison Act, also referred to as the Grand Bland Plan of 1878, was an act of United States Congress requiring the U.S. Treasury to buy a certain amount of silver and put it into circulation as silver dollars. Though the bill was vetoed by President Rutherford B. Hayes, the Congress overrode Hayes's veto on February 28, 1878 to enact the law. William Hope "Coin" Harvey was an American lawyer, author, politician, and health resort owner best remembered as a prominent public intellectual advancing the idea of monetary bimetallism. His enthusiasm for the use of silver as legal tender was later incorporated into the platforms of both the People's Party and the Democratic Party in the early 1890s. Harvey was also the founder of the short-lived Liberty Party and that party's nominee for President of the United States in 1932. The Omaha Platform was the party program adopted at the formative convention of the Populist Party held in Omaha, Nebraska on July 4, 1892. Bryan Money is a term used in the numismatic community to refer to tokens and medals associated with William Jennings Bryan's platform during the United States presidential elections of 1896 and 1900. Bryan's platform advocated for the reinstatement of silver currency in the United States economy as part of the short-lived Silver Republican Party. ↑ Congressional Record, 51 Congress, 1 Sess. : 2068-2069, March 3, 1890. 1890. Retrieved August 7, 2017. ↑ Russell L. Mahan, "William Jennings Bryan and the Presidential Campaign of 1896". White House Studies (2003). 3 (1): 41. doi : 10.2307/1917933. JSTOR 1917933. ↑ The Populist Response to Industrial America p142 Norman Pollack – 1976 "This was followed by his blistering indictment of silver: "The Free Silver movement is a fake. Free Silver is the cow-bird of the Reform movement." Gramm, Marshall. "The Free Silver Movement in America: A Reinterpretation," Journal of Economic History, vol. 64, no. 4 ( Dec 2004), pp. 1108–1129. Wells, Wyatt. "Rhetoric of the Standards: The Debate over Gold and Silver in the 1890s," Journal of the Gilded Age and Progressive Era, (Jan. 2015) 14#1 pp. 49–68. Williams, R. Hal. Realigning America: McKinley, Bryan, and the Remarkable Election of 1896. Lawrence, KS: University Press of Kansas, 2010.